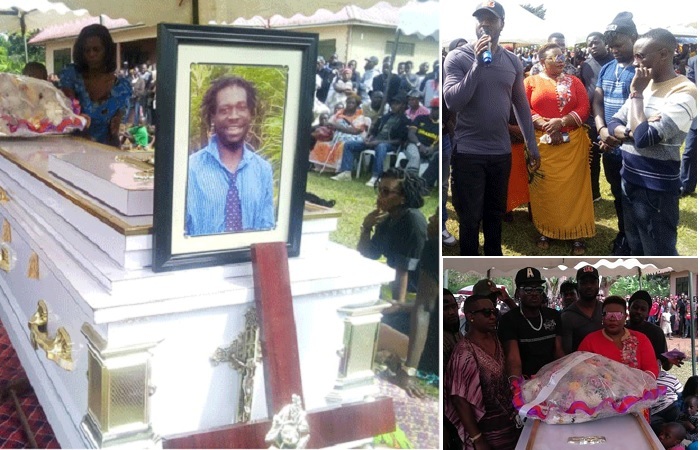 Local musician Denis Oscar Mubuuke Galiwango Kamya (31) aka Dizzy Nuts was laid to rest today at his ancestral home in Kayabwe along Masaka road. He left behind 3 children and at the time of his death, he had separated with his wife Winnie Nakalyango following a family dispute. 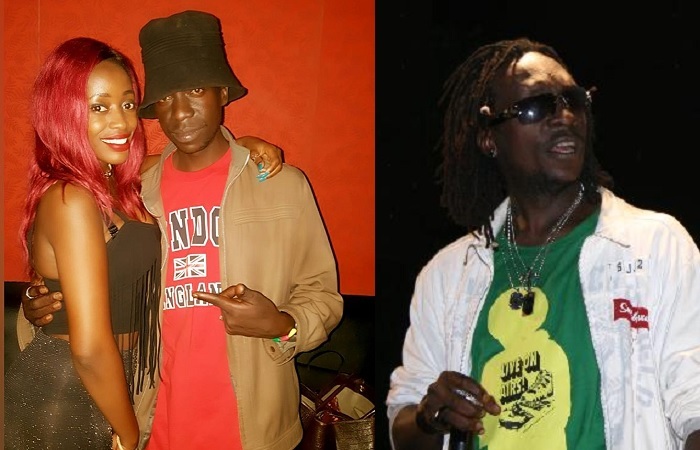 Dizzy was a member of Gagamel Phamily led by Bebe Cool and at the time of his death, the Fire Burn Dem singer was having a chat with Bebe after their performance at the Victoria Club in Kireka. A Toyota Harrier with black tints that eyewitnesses say was within the vicinity and moving round in circles around Mandela National Stadium, also know as Nambole stadium, drove towards their direction at a terrific speed with its lights off knocking four of them in the process. Dizzy died instantly and the others are still nursing minor and serious injuries. "He hit 4, but Dizzy was the last one to be hit. This was not an accident. Two vehicles were ahead of us and an eyewitness said the vehicle had been in the parking area earlier on, and since it was tinted with its lights off, no doubt, that person was after me," Bebe Cool noted. 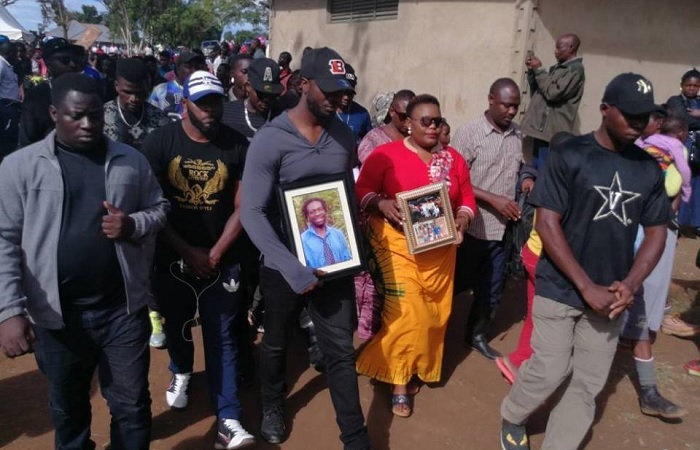 Bebe Cool contributed Ugx 3million shillings and also bought the coffin. "A speeding car with tinted Windows that had earlier parked at a bank opposite to where I had parked mine at a distance (as narrated by eye witnesses), without lights which totally seemed planned to hit me last night after my gig claimed the life of a young man, a brother, a father, a friend of so many. It also knocked another friend of mine Kato Hassan breaking his leg and forehead, but his condition is being managed so far. He could have been useless to those who executed this plan, but he was a human being and a father. Judgement is done by Allah not man and we all shall follow the same road, the only difference is who goes first and how. Rest in peace my brother Oscar Mubuke aka Dizzy Nuts Galiwango."